Gulf of El Zayt wind farm is being constructed with an investment of €340m. Image: courtesy of Grontmij. The wind farm will be located approximately 12km west of Ras Shukeir in a coastal arid zone between Gulf of El Zayt and Zafarana. Image: courtesy of Grontmij. Gamesa will supply 100 G80-2.0 MW wind turbines for the project. Image: courtesy of Gamesa. The Gulf of El Zayt Wind Farm is a 200MW wind project to be constructed on the west bank of the Gulf of Suez in the Gulf of El Zayt, Egypt. It will be constructed on a site located approximately 12km west of Ras Shukeir in a coastal arid zone between Gulf of El Zayt and Zafarana. Planned to be one of the biggest wind farms in Africa, the project will be built on an area of 35km² and is expected to be commissioned in the second half of 2017. 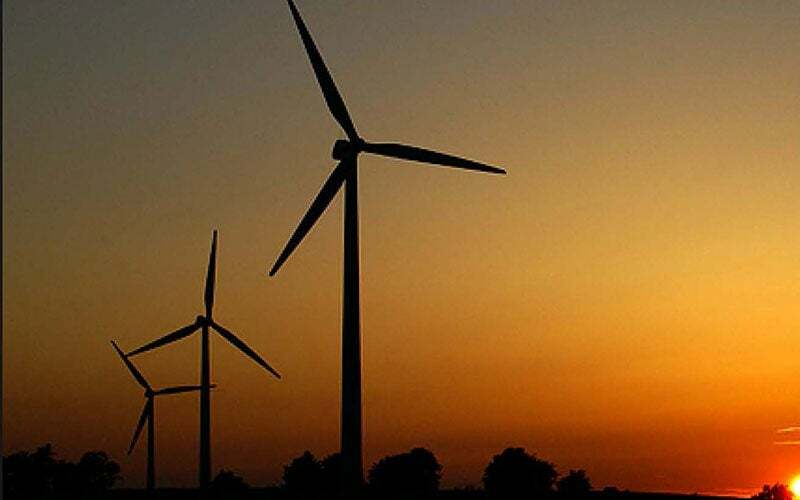 The project was proposed by Egypt’s New and Renewable Energy Authority (NREA) and will be built through funds provided by the European Union, Germany’s KfW Development Bank and the European Investment Bank. It is expected to generate approximately 800GW a year, which will be enough to meet the power needs of approximately 500,000 people. It will also offset 400,000t of carbon dioxide emissions a year. Located in the Loyangalani district of Kenya, the 310MW Lake Turkana wind project is the single biggest wind farm being built in Africa and represents Kenya’s biggest ever private investment. The wind farm will consist of 100 Gamesa G80-2.0 wind turbines of 2MW each, in rows that will be perpendicular to the direction of the wind. The turbines will be approximately 110m-high and will be spaced between 200m and 300m in a row. The turbines will be installed in rows, spaced at 1km, from south-west to north-east direction. The selected location receives favourable wind with an expected load factor of approximately 45%. "Planned to be one of the biggest wind farms in Africa, the project will be built on an area of 35km²." The project will include the construction of a 22 / 220kV substation and will be interconnected to the main transmission line corridor by means of a new 220kV overhead-line. Internal grid of the wind park will also feature underground cables. A state-of-the-art bird protection measure will be featured that will involve a radar-based shut down on-demand system. Power cable trenches will be located along the rows of the turbines at a depth between 1m and 1.5m. Plastic pipes to hold control cables will be placed inside the trenches on top of the power cables. The power cables will be connected to a central substation. Grontmij will provide project management, project and conceptual design, electrical grid, foundations, access roads, infrastructure tendering, and inspection during the guarantee period, as well as build facilities for the work force. Grontmij will also assist in the development of a high-voltage connection, a transformer station and facilities for the labour force. Gamesa Corporation has been contracted to deliver 100 G80-2.0MW turbines and provide turbine assembly, erection and start-up services as well as operation and maintenance services for five years. The €340m ($370m approximately) project is co-funded by Germany’s Kreditanstalt für Wiederaufbau (KfW) Bank, the European Commission (EC) and the European Central Bank (EIB). KfW is the leading donor with a contribution of €191.5m ($209m), while EIB will loan €50m ($54m) and EU will provide a grant of €30m ($33m). Ganz Engineering and Energy Production Machinery (Ganz EEPM) is a Hungarian-Russian joint venture with a strong reputation in engineering and manufacturing in the area of energy production and nuclear power plant machinery. Ampirical Solutions provides engineering and related services to the high-voltage electrical transmission infrastructure marketplace. The scope of these services can be design engineering only, or the complete engineering / procurement / construction (EPC) of electrical facilities such as substations, switchyards, and transmission lines.